My name is Barry Dreyer. My military role is Colonel Commandant of the Royal Regiment of New Zealand Artillery. I want to speak on behalf of the Corps about Bill as a soldier and gunner, and about his significant contribution to the Army and the nation. Firstly to the family: Emma, Deborah, Robert, Willie and the wider family, the Royal Regiment passes our deepest sympathy for the loss of Bill. We are very sorry to see him go, and at the same time grateful for both the contribution he has made to the Gunners in New Zealand, and for the privilege of knowing and serving with him. Secondly, I want to acknowledge the returned service people, those that served with Bill, the serving soldiers from the Regiment and particularly the Warrant Officer pall bearers, and the Regimental Sergeant Major representing the Commanding Officer 16 Field Regiment, Lt Col Matt Weston and his officers, non-commissioned officers and men of the Regiment, in which Bill served for so long and so well. Let me start with Bill's early military life. I want to tell you a story that I have heard about why Bill joined the forces. I may have the story wildly wrong, and I am sure I will be corrected after the funeral, but let me tell it anyway. Bill was a young merchant seamen in the British merchant marine at about the age of 18 and when his ship arrived from Auckland he made a decision to stay and jumped ship. The ship duly left port, but in the late 40s jumping ship by a seamen was a pretty serious offence. There was a warrant out for Bill's arrest. He was duly found somewhere in Auckland and marched in front of the Magistrate who immediately found him guilty and at sentencing offered Bill either jail or a chance to join the Forces. At 18 the choice was pretty clear and Bill made the ill informed decision to join the Royal New Zealand Air Force, in which he served for 226 days, leaving in April 1950. In August 1950 Bill saw the light, and the Royal Regiment is very grateful for that, and he joined the New Zealand Army in 16 Field Regiment which was then being raised for active service in Korea. Bill deployed from Wellington by ship with the main body for Korea and was on active service from 10 December, 1950 until 21 February, 1952. He commenced as a gun number on number two gun in D Troop 162 Battery. At the Battle of Kapyong in April 1950 he was the gun layer on his gun. Bill subsequently became the number one on number four gun in his troop and was promoted to Bombardier. Bill served from Pusan in the South through to the battles of Imjin River and Kapyong, north of Seoul. He spent two months in Japan with a couple of other regimental Bombardiers as instructors for the incoming 16 Field Regiment reinforcements. On his return to New Zealand in early 1952 he was posted to Waiouru with four other Regimental NCOs to train the reinforcements for the Regiment for the Korean War. Bill took his first discharge from the Army in August 1952. In October 1953 Bill rejoined the Royal Regiment and served until May 1959 as a Bombardier. This included a year on active service in Malaya posted to 1 NZ Regiment and working in the mortar platoon. On his return to New Zealand Bill once again left the Army in May 1959. Bill must have then got a seven-year itch inside two years, as he joined the Royal Regiment again in the Territorial Force in April 1961 and transferred to the Regular Force in November of that year in 2 Field Regiment in the rank of Sergeant. This became Bill's longest period of service from late 1961 until the start of 1974, when he finally retired from the Army in the rank of Warrant Officer Second Class. Bill deployed to South Vietnam with the original 161 Battery in July 1965 and returned to New Zealand at the end of January 1967. This was the longest single period of service by any New Zealand soldier in the combat elements in Vietnam – 18 months. Bill served as the command post Survey Sergeant, and then as the Battery Commander’s Survey Sergeant. Bill was in this latter job, Harry Honnor‘s Survey Sergeant, at the Battle of Long Tan. This means that he was one of only three New Zealand gunners, and the last to go, of those that fought in the two major battles that his Regiment has been involved in, one in Korea and one in Vietnam. Bill's job at the Battle of Long Tan was to run his Battery Commander's tactical command post, organising the various batteries and combat aircraft that were involved in supporting the infantry during that desperate encounter battle. Bill was with the Battery when it worked mostly in direct support of the 1st Battalion Royal Australian Regiment as part of the American 173rd Airborne Brigade, the main United States formation protecting the northern approaches to Saigon. Mostly out with the Battery Commander or the Battery, Bill operated in all of the main combat areas of the Brigade – War Zone C, War Zone D, Hobo Woods, Cu Chi, Ben Cat, the Michelin Rubber, and the Song Dong Nai River region. It was the same when the Battery transferred to the Australian Task Force in mid-1966. Bill spent all of the rest of his time in Vietnam out with the Battery Commander, and was involved in all of the major operations during this period as well. He would have had a tough life. This was when I first met Bill. He was a very experienced NCO and I was a green behind the ears young subaltern. I did all my learning from Bill and the other Survey Sergeant Jerry Meyer, the battery guide Bob Kerslake, all the gun sergeants, and our Pronto, the late Dave Roberts. They were a great team and very experienced and skilful at their jobs. Bill was easily the most cheerful Sergeant I have ever come across. We worked together later at the School of Artillery for a few years, and I cannot remember seeing him get angry in all those years. He was always a delight, cheerful, poking fun at everything, and a man of great wisdom. My abiding memory is of Bill in 1966 in his Father Christmas suit with a Land Rover full of gifts, briefing the armed patrol that was to take him to the provincial capital Baria, where the Battery were supporting an orphanage. I was reminded of an occasion before my time when Bill did get angry in Vietnam. I will not tell the whole story but water was in very short supply and Bill was responsible for rationing it for the command post group on operations. This meant enough to shave with and to drink. One afternoon Bill found the newly arrived Padre washing his underwear in the precious water. Apparently there was an explosion which lasted for some weeks and the Padre hightailed it away and kept as far away from William as he possibly could, for the rest of his tour. In the Queen's Birthday honours in June 1966, while Bill was still serving in Vietnam he was awarded the British Empire Medal. “Sergeant Giles served in the Royal New Zealand Artillery Regular Force from 1953 to 1959 rising to the rank of Bombardier. 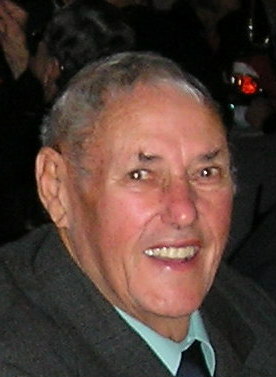 He was released from the Regular Force in 1959 and re-enlisted in 1961. Since this date he served as an instructor at the School of Artillery. He is currently serving as Battery Survey Sergeant with 161 Battery in South Vietnam. Since assuming this appointment Sergeant Giles has taken part in all combat operations to which 161 Field Battery has been committed. At all times his work has been characterised by outstanding steadiness and careful attention to detail. His skill and initiative had enabled him to deal with problems not previously encountered by the Battery. To cope with these problems he has devised innovations and procedures which have proved most successful and which have contributed in no small way to the high professional reputation established by the Battery. "If you people are the 161st Battery where are the other 160 batteries?" "It doesn't quite work like that", says Bill, "This Battery belongs to 16th Field Regiment, which, like most artillery regiments has three batteries. What we do is number each battery 1,2 and 3 and prefix the number with the regimental number." "Keep talking", says the Yank. "Well, if you follow this through you wind up with 16 Fd Regt having 161, 162 and 163 Batteries. Get it?" Yank: "OK, so there isn't one hundred and sixty one batteries but 16 Regiments each with three batteries. Where are the other 15 regiments?" "Well", says Bill, "It doesn't quite work like that either. The regimental numbers are used for regiments that have been disbanded, haven't been activated or are Territorial." Yank. "Uh huh, I don't think I understand. How many batteries of REGULAR ARMY artillery do you have?" "You have ONE battery of regular artillery?" "Jeez, you mean that your whole Goddamn Artillery is here ?" On his return to New Zealand Bill worked for some time at the School of Artillery teaching technical subjects to those reinforcements that were heading to Vietnam. Bill finally retired from the Army in early January 1974 in Auckland where he was working as a Warrant Officer Second Class in Field Force Command on the Northshore. Since retiring Bill has been an active and cheerful member and contributor to the Royal New Zealand Artillery Association and we have been very lucky to have him involved for almost the last 30 years. I last saw Bill about two weeks ago in Middlemore Hospital where he was very ill. I was surprised and delighted to find him as chirpy as ever, with a good memory of some of the things we did together many years ago, but not so good a memory of what happened yesterday. This was fine as it allowed Bill to concentrate on the more interesting and happier times of his long and interesting life, rather than the prior few weeks when he had been in hospital. I also need to pay tribute on behalf of the Gunners to Emma and Deb who spent hundreds of hours in the last few weeks attending to Bill as he lay ill. It is a soldier’s right to take part of his final journey with his comrades in arms. For Bill it is even more fitting as today he has been escorted by six Warrant Officers of the Regiment he served so faithfully, proudly and well, and by those who soldiered with him in peace and war. Farewell Bill Giles, Gunner, soldier, servant of your country, mentor and friend. Safe journey, you have earned your rest. Rest in peace. I would like to finish with a poem to march Bill out of the Royal Regiment. This was written in 1980 by one of the soldiers who served in 161 Battery when Bill was still serving. Sadly we have used this poem a number of times this year for the passing of well known Gunners. The poem is tilted “A Soldier's Farewell” and was written by Mike Subritzky, whom I saw earlier in the congregation. and sleepin’ in muddy holes. and I sure ain’t coming back.